What Are Various Home Automation Systems Available? Although home automation has been a popular topic since the last two to three years, it did not start merely three years ago. In fact, it’s the popularity of the devices used in home automation that has increased. While a lot of people have heard about smart homes or joined the discussion of “the Internet of things,” fewer people know that home automation systems are already available in the market. Recently, modern technology has increased the possibilities of an interconnected world that makes it possible for you to have control over your home from anywhere. There are several brands of smart surveillance cameras that you can purchase from hdhtech.com or other retailers. Popular brands include the LG Smart Security Wireless Camera, the Tend Secure Lynx Indoor and the Next Cam Outdoor. These make it possible for you to monitor your home using your smart phone, other smart gadgets, Wi-Fi communication, Mobile Apps or through the web. 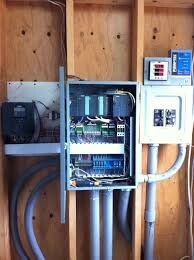 Lighting systems provide convenience while at the same time helping you save on utility bills. 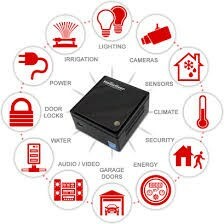 Basic lighting products, which you can also buy from hdhtech.com, can ensure that your house will be well lit when the motion detector will read that you are about to get inside the house. There are home automation products in the market that are able to improve your home security. These include leak and flood detectors, and security systems which can sound an alarm or call you when the security of your home is jeopardized. Home automation systems are able to automate and control a wide range of home appliances both when you are at home or when away from it. These systems enhance the convenience provided by your home appliances. Systems that control your HVAC or those that make it possible for your coffee maker to start brewing coffee before you wake up are among automation systems that are changing how people live. basauthor	2017-08-10T11:15:38+00:00	August 18th, 2017|Comments Off on What Are Various Home Automation Systems Available?